Discussion in 'California' started by ShowCarPerfection, Feb 5, 2016. I just wanted to formally introduce myself. My name is Richard Lin and I'm in Anaheim Hills, California. I've been a sponsor since October 2015 but I've been procrastinating about making this first post because I wanted it to be great! So here goes. I've been working on Teslas ever since they came on the market having started with the Roadster S. Prior to working on Tesla's we worked on Fisker Karma's as their HQ was across the street from us and we got to work with their R&D. We take great pride in the work we do. We develop special tools and lighting to achieve the results we seek. When the first Tesla's came to us, we were among the first detailers to install an electrical jack in our shop so we could top off the battery for our Tesla customers. Quite often you will see our shop full of Tesla's! With that out of the way, a little more about us and how we can help you. We've been in the OC since 2007, and prior to that were in Los Angeles going back to 2003. I'm known in the industry as being one of the leaders for my knowledge and ability to test and innovate products and solutions for our industry, everything from improving the tools we use, to introducing special LED lights just for correcting paint, to being friends with some of the most well known detailers around the world such as Larry Kosilla from Ammo NYC and Paul Dalton out in the UK and Mike Phillips out in Florida who used to be my partner back in the day. 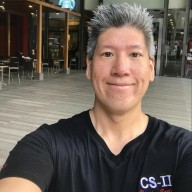 Today I represent a coating company called CS-II which manufactures all products here in California although they are based in Singapore, I represent the US arm. I also manufacture a product for restoring plastic trim called BlackWow and BlackWow Pro. When you visit the shop, you will talk with either myself or my shop manager Josh Vitolo and we are the only ones who will be working on your Tesla. With CS-II, we can offer protection levels that vary in price starting at $300-$2000. We don't give quotes over the phone as the needs for every car as well as the owners expectations are different. Black Teslas tend to require more work than any other color for example, so it will cost more to prep it before coating, even when brand new. No matter how new your car is, we always see factory flaws and defects and depending on how OCD you are, we can meet or exceed your expectations once we have met and discussed your needs. Every job begins with an in-person evaluation at the shop so we can discuss with you what your paint looks like. This is a chance for us to raise your expectations, to educate you about your paint, and show you what we see through our eyes. Every customer leaves with a new appreciation for their car. I like to use the slogan "We raise your expectations so you can better appreciate our work". During this times, we also get to interview you and find out what is most important to you for example whether you value protection over perfection. In that case, we can better assess your needs and your ability to maintain the level of perfection we provide for you. After we coat your car, we would love to see you in back in a week for a free followup maintenance wash. We do this to ensure that the coating is performing as expected. I am also your personal consultant who will happily answer your texts, emails, or phone calls on how to best maintain your coating. If you're at the store looking at some microfiber towels, send me a message and I will guide you. If you see bird poo on your car and want to know what to do, call me up and I'll help you. That's what we do here. We want to make your life easier when it comes to maintaining your finish. If you must use a car wash, there are certain places you can go that we can advise you on as well or we can show you how to wash your own car in minutes using special wash solutions that respect our drought conditions. We do work on other cars besides Teslas, and they are usually black! And quite often they are destroyed by somebody else and its our job to show them we can fix the problem like this 50/50 showing how we fixed the middle of this buffer trailed door. The bottom line is that we are in the business of not only making your car beautiful again, but protecting it, and helping you maintain it for many years to come and with over a decade of experience, we are more than qualified to ensure you get the most value for your money. We are talked about quite a bit on the Tesla forums as a great place to have your car worked on. I look forward to talking to you. Or call us Toll Free Monday through Friday 8am to 5pm: 866 707 9292 and ask for Richard or Josh. That's mine, 7th from the bottom. Richard did a great job! I chose Suntek film for front 1/3 and Modesta coating for entire car. Looks beautiful and front is totally free of dings from rocks and road debris even after 10,000 miles. Thanks you ShowCarDetailing for at least mentioning the price range for your services. Most detailers who post in TMC don't ever mention prices or even give a ballpark of what it costs to have these types of things done. And yet it's always my first question. So, thanks. Oh, and great photos of shiny cars! Hi Bonlaw!! Thanks for commenting! Glad I picked the right pictures to show. =) I'm glad to hear that about your car! Hi Tinm! You're welcome. Prices always vary but we get a variety of Teslas in all conditions. We've had some several years old and many not even a day old and they still have paint issues. Our coating prices are fixed, the correction price varies and that just has to do with balancing the factors of how long it's going to take with what are your expectations and what is your ability to maintain that expected level of finish. We will never suggest something that we know you will destroy in a weeks time lol. For example, if you tell me that you are going to maintain your car at the car wash and that it lives outside, I'm going to suggest protection over perfection as well guide you on how to best take care of your car in that situation. This past week we did several of our annual inspections on our coated cars and one of them lives right along the water, it lives outdoors, and he washes his car using my methods and the paint looked absolutely amazing and he credits the coating and our wash methods for keeping it that way. I used to spend all my time on forums years ago, but I got burnt out and spend most of my time on Facebook and answering questions that way. If anyone has questions for me, feel free to PM me and I will answer you ASAP. I might stop by some time. Looks like you know what you are doing! Too many detail shops that I went to that do half a**ed jobs. Hi David99-Please read my reviews. I have over 40 Five Star Reviews on Yelp but more importantly over 90 Five Star Reviews on DemandForce. DemandForce is an app that sends out an email after every job we finish, so it asks the customer how they liked our service. This ensures ONLY our real customers can write a review. I have links to both of those in my first post above. Or just give me a call and I'll be happy to talk to you on the phone. The cars that we get aren't always in the best shape! This one is a 50/50 meaning we polished the right half to see how much we can improve the black paint while the left side is the BEFORE state. This one came with saliva stains in the paint..
Water spots are the most common issues and unfortunately many of the most popular coatings do very little to protect against this. That's why we chose the coating we use now because it has the most resistance. These are just a few examples of the conditions of Tesla's we see in the shop. Our customers come from all over the place. I've got an Audi customer driving 1.5hrs to us next week. We get customers from Ventura to Las Vegas to Colorado that come to us. We have one customer that drives from Boston to have us detail his Lamborghini and he drives it back home lol. Here are a few more shots of Bonlaw's beautiful Tesla! Her color is the only one we've had in the shop. When we wrap the PPF, we always do full tucks so the installation is completely invisible. We go even further and ensure the film has no flaws, no stretch marks, no wrinkles, no creases. Our installer has been wrapping cars since 1995 and is one of the most skilled and sought after installers in the country. He happens to work out of my shop. to wash and keep clean ... a bigger chore for me because it has to live outside. I am quite pleased with their results. a few miles NE of the freeway 55 and 91 intersection. VERY impressive work and posts. Would you please comment on the benefits of paint correction and coatings for white Model S where the cosmetic issues seem greatly reduced? It always comes down to expectations. I see flaws and defects in paint that others don't. Once you "learn" to see them, you can never "unsee" them lol. A corrected car shines like no other whether you view it from a foot away or 10 feet away. Coatings intensify that shine as well as provide long lasting maintenance benefits that waxes and sealants don't. Plus once coated, your only maintenance requirement is a proper wash and once a year annual inspection to ensure the coating is performing as best as possible. Many people buy white cars under the assumption that white will show less dust, less dirt, less swirls and flaws, but it also doesn't have that gorgeous deep, wet, shiny look either when it's clean. Black cars look incredible when they are clean and well maintained. White cars can stand a bit more neglect and still look acceptable. I don't own any white cars. I have 4 cars, 3 black ones, and a red one and a motorcycle that is a combination of white, black, and orange. Get your Tesla, regardless of color, coated for the best ease of maintenance, and best chances at maintaining that factory "perfect" finish for as long as possible. I've got some pictures to demonstrate what I'm talking about but let me just give you info first, and then I'll post supporting pix a bit later.